Telltale Games created a second episodic season in The Walking Dead series after the commercial success of the first season. 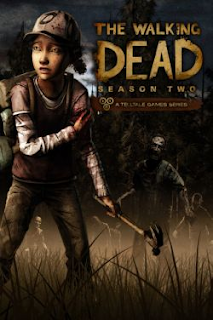 It features Clementine, the young girl that Lee Everett took in his care in the first season, as the playable character. The first episode was released in December 2013. The remaining four episodes were released in the following months. The remaining survivors continue to struggle through the zombie apocalypse. The group finds more survivors, which leads to a rift among the two groups. Tensions among the group rise as the struggle to survive becomes harder. The group's struggle to survive continues. The group's struggle to survive concludes.